On this episode of Prepping Up Dave travels to PrepperCon in Salt Lake City Utah and broadcasts his show live form the floor of the show. His sponsor Emergent Biosolutions, maker of RSDL sent Dave to one of the biggest Prepper Event in the US. Get ready to hear about the latest gear, current trends and what Prepper in Utah are prepping up for. Don’t miss this show because Dave will also have the host of I Am Liberty, James Walton on as well. Hear what James found during his travels at the show and his prospective on the prepper trend. James has a great insight on Prepper things and will share the vibes he is getting from the show live on the air. 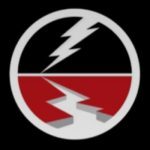 Listen to this broadcast or download “From PrepperCon 2018 with Dave and James” in player below! This show will be packed with interviews and live talk that you will not get any other place on the internet. If Dave has too much to cover he will save some interviews for his next show so you don’t miss a thing. Visit Daves website WMD Protection HERE! Prepping Up with the Jones archives, coming shows go HERE! Next: Next post: Where should I find supplies in a SHTF scenario?